Salt & Light is a book of prose and poetry, shedding light onto invisible struggles and journeys through mental illness, abuse and infertility. The book is divided in two parts, Salt; representing darkness of the past and Light; representing the hopefulness of the future. Salt & Light takes readers through a journey of pain and ends with emotional healing and self-worth. Without Fear is a book of prose and poetry about the up and down journey of healing. It’s about transforming your pain into something beautiful. Without Fear helps readers see that their struggles can make them stronger, like a well-tended garden, they can blossom. It’s about owning your past, instead of letting it control you. Michelle Young lives in Ottawa, Ontario with her husband and daughter. 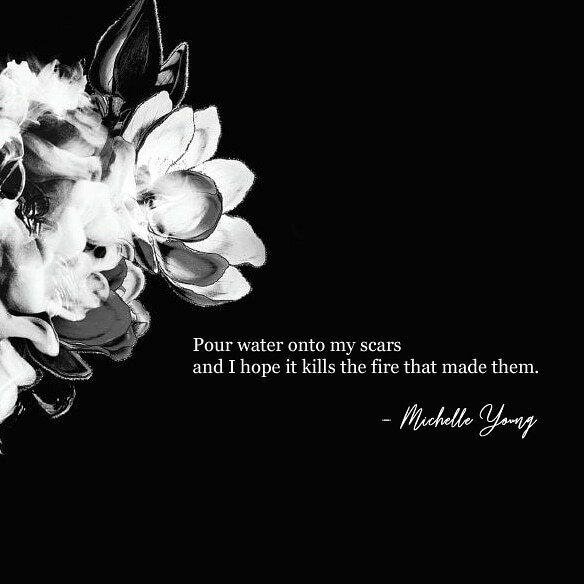 Struggling with depression, infertility and trauma from a past abusive relationship, Michelle wants to help others by sharing her story. She has published two poetry books : 'Salt & Light' and 'Without Fear'. She is currently working on a fiction novel. I would love to hear from you. Please don't hesitate to reach out with any questions, comments, or press requests with this form.